Coachella, one of the largest and most magical indie music festivals in the U.S., is held in Indio, California each year. A three-day event, this year Coachella is taking place over two weekends in April 2018 -- April 13, 14, and 15 and April 20, 21, and 22 with headliners including Beyonce, Eminem, and The Weeknd. Nothing marks spring's arrival than all the sights, sounds and smells found at Coachella. Is this your first time going to Coachella? Here's the ultimate survival guide. Sunscreen. Indio, CA is known for its super sunny weather. Make sure to pack plenty of SPF. You should pack both a facial sunscreen with at least 45 SPF and water-resistant sunscreen for your body. Look for formulas made with zinc and titanium dioxide that provide superior protection against the sun's harmful rays. Plastic bags. Since you'll be camping at Coachella, make sure to bring with plenty of plastic bags. They'll come in handy for throwing stuff away, keeping your snacks safe, and wrapping up leaky bottles. The uses of plastic bags are endless. Hat. Once again, this will help protect your head, face, and eyes from the sun. Who wants to end up with an ugly, nasty sunburn anyway? Earplugs. Protect your ears from some serious long lasting damage by wearing earplugs the entire time. Don't worry -- you'll still be able to hear the music. Charger and battery extension pack. Don't let your phone die at Coachella. To prolong its life, be sure to use a battery extension pack and leave your phone on low battery mode. Snacks. While you can't bring food into the actual venue, you can store snacks at the camping area. Easy portable snacks include chips, granola bars, apples, bananas, trail mix, carrots, tuna, bread, and hummus that doesn't require refrigeration. Condoms. It's better to be safe than sorry. Alcohol. Make sure you buy alcohol that's in plastic bottles and only store it at the campsite. Camelbak. It's essential that you stay hydrated at Coachella. While there's free water at Coachella, bottled water costs $2. Instead, buy a Camelbak and fill it up. That way, you'll always have water with you for when you're thirsty. Comfortable shoes. This goes without saying, but you'll be doing a lot of standing and dancing at Coachella. You'll want to be wearing comfortable and practical shoes that are easy to take off. Ditch any heels or flip-flops. Cash. Bring lots of cash. This is a smart move to avoid paying high ATM fees. Daypack. Create a daypack to carry with you at all times that has all the essentials you'll need throughout the day including sunscreen, sunglasses, long-sleeved shirt, a large blanket, and glowsticks. Once you've spent time preparing everything you'll need for Coachella, it's time to have some fun! Make sure to plan a relaxed schedule -- pick a few of the acts and immerse yourself in a full set. Show up 45 minutes before the act to get a good stop. In between sets, plan for some downtime. Chill out on a blanket with some friends and rest up before the next act you want to see. Part of the magic of Coachella is meeting new people, too, so don't forget to introduce yourself to neighbors. The second best thing next to the music is the food! With over 100 vendors to choose from, you should definitely plan on trying out a bunch of different cuisines, such as Thai, Mexican, and Italian. Smart meals include burritos and burgers -- they'll give you the energy you need to dance all night long. Coachella is truly a unique experience unlike no other. Make the most of Coachella this year by planning ahead, being prepared, and -- most importantly -- having lots of fun! 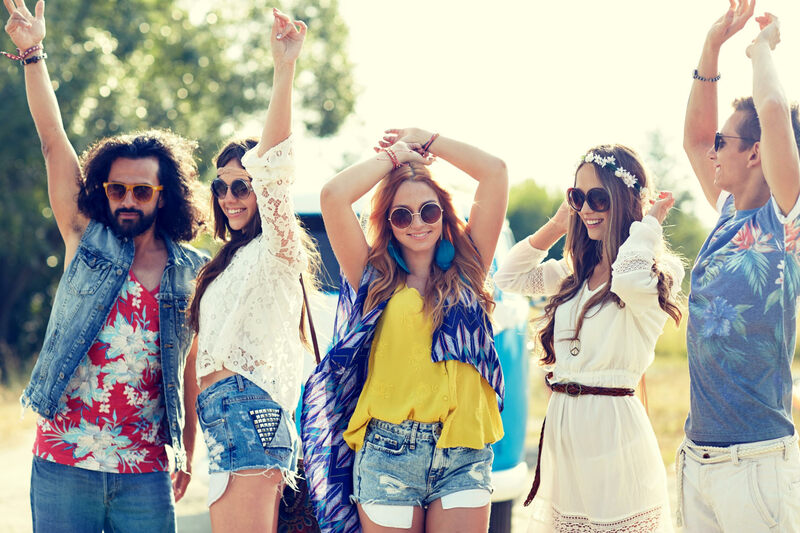 Follow the above Coachella survival tips, and you'll definitely have the time of your life! "Coachella 2017: Your Survival Guide," Los Angeles Times, April 13, 2017. "Coachella Survival Guide," Vacation Differently, March 2, 2018. "Coachella Survival Guide: 7 Things to Keep in Mind When Planning Your Festival Trip," Mic, April 11, 2017. "Your Survival Guide to Coachella," Buzzfeed, April 15, 2014.